Bikers understand the greater risk they take when riding their motorcycles on Pennsylvania roads. However, that risk should not include the negligent or reckless driving of other motorists. Motorcyclists have the same right to a safe ride as car and truck drivers. Unfortuately, the unlawful and irresponsible actions of other drivers can sometimes bring that safe ride to a sudden conclusion. If you or a loved one has been injured in a motorcycle accident due to the negligence or recklessness of another driver, you may be entitled to financial compensation for your injuries. The personal injury lawyers of Kamensky, Cohen & Riechelson have been serving motorcyclists injured in accidents since 1972. We have earned innumerable successful verdicts and settlements for Pennsylvania clients in towns including Levittown, Northeast Philadelphia, Feasterville, Millbrook, Penndel, Bensalem and all of Bucks County. Lean on our extensive experience and knowledge of personal injury law to seek full and fair compensation for your injuries. Call our office for a free and confidential consultation today with a member of our legal staff concerning your motorcycle accident and how we can best serve your needs. Negligence is broadly defined by any failure to act in a careful and reasonable manner that will not put others at risk. In other words, being negligent means that an individual did not act in such a way that a person would reasonably be expected to act to prevent harm to others. There are three basic forms of legal negligence: active, passive, and inherent. Active negligence is a deliberate action which can be construed as negligent. This can be the reckless endangerment of others including dangerous driving, drunk driving, smoking in the presence of children, intentional misuse of construction equipment, and more. Passive negligence entails a lack of action which can be construed as negligent. Examples could be failure to clean up a spill in a mall or grocery store, leading to an injury slip and fall accident, failure to adhere to safety specifications for public transportation, driving without a driver’s license, etc. Inherent negligence may be the result of actions that are always considered legally negligent regardless of the circumstances. A doctor making an error in surgery despite his or her best intentions is often considered inherently negligent. Being injured in a motorcycle accident does not automatically entitle you to financial compensation. In all personal injury claims, proving that the injurious accident was the result of negligent or reckless behavior by the at fault party is an essential piece of the puzzle. Our Feasterville attorneys will examine the details surrounding your injurious accident, police reports, witness testimony, and any other related evidence to try and show that this was in fact the case. There are some forms of negligent actions which are easily provable. 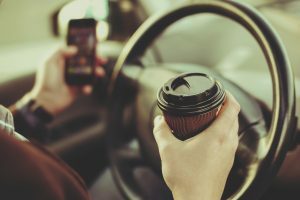 For example, if the driver at fault for you injury has a record of phone usage at the time of the accident or if they failed a sobriety or blood alcohol test, those are extremely strong evidence of negligence. We may even get lucky enough to have footage of the accident or the preceding actions as recorded by traffic cameras. This can often show reckless driving and/or speeding infractions. In other situations, we may have to rely on witness testimony and extrapolate the cause of your injurious accident based on the details of the impact itself. Whatever the case may be, our lawyers will work to hold responsible drivers liable for their negligent behavior. At The Law Office of Kamensky, Cohen & Riechelson, we take pride in serving bikers in Pennsylvania towns such as Northeast Philadelphia, Levittown, Millbrook, Penndel, Feasterville, Bensalem, and the greater Bucks County region. If you have been injured in a motorcycle accident, our firm will fight for the full and fair compensation that you and your family need and deserve. You can feel confident relying on our firm’s 45 plus years of personal injury experience to find liable parties and hold them responsible for your injuries. Contact us online or through our Bensalem offices by calling (215) 337-4915 for a free and confidential consultation today regarding your motorcycle accident injuries.